I will post some previews from our upcoming version. Feel free to tell us what you think by writing some comments. One of my favorites is the compare tool. 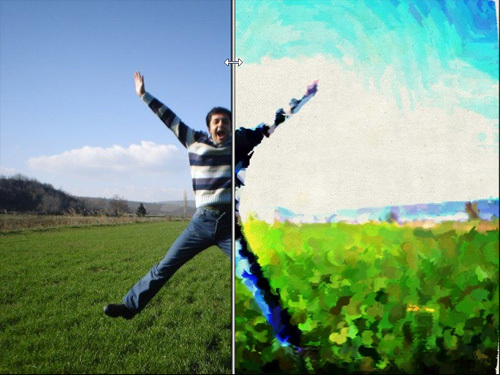 It’s a magical slider that you can use to see your image before and after applying an effect. I can drag the vertical line to change the area it covers. Hey look ma! I've got paint on my pants!